When you’re shopping around for a water softener in Nocatee, Jacksonville or the St. Augustine area, you will certainly have no shortage of options to choose from. Choosing the right water softener for your home or business shouldn’t be done through Internet research alone. Contact All Florida Soft Water and speak with a friendly, knowledgeable member of our management team. We’ll help you decide what’s best based on a number factors such as your area, water use, and the size of your home or business. What Makes the CareSoft Pro RC Unique? Efficient and environmentally friendly, the CareSoft Pro RC combines two types of filtration media into one tank. 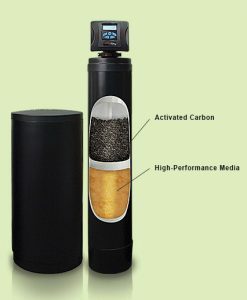 High capacity resin softens your water while the activated carbon gets rid of chlorine and other unwanted tastes. The CareSoft Pro RC delivers the quality water you desire for your entire household. For larger and heavy-use households, the CareSoft Pro RC has as a twin system to provide you with high capacity water treatment available when you need it – 24 hours a day, 7 days a week.